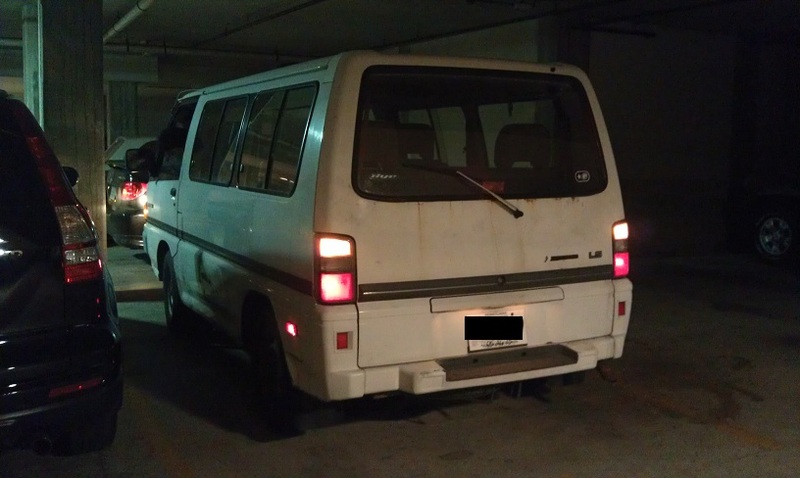 I'm the proud new owner of a white 1989 Vanwagon, a somewhat impulsive Craigslist buy. I've been a fan of these kinds of 1-box vehicles for a long time, but only recently did the circumstances of income, parking, and tools align correctly for me to consider even getting one. We picked it up in Pennsylvania this past weekend. ...it won't start! Cranks great and seems to try really hard, but it just won't fire. None of the pickup team were car people, myself included, so we spent some time in front of Autozone mostly working off the troubleshooting guide in the shop manual and calling friends. I even have the 4 volume shop manual, though making heads or tails of it is a skill not yet mastered. Currently, it lives in my parking spot under my apartment complex. I can use an auto lift and garage about 1.5 miles away, but the parking spot is underground. So here I'm hoping whatever is wrong is accessible from the passenger seat! I should mention that the true nefarious plan for this thing is an electric conversion. If all goes well, it will one day have a 100kW AC induction motor and 60kWh of lithium iron phosphate battery. Welcome to the cult . Wow, sounds like a cool project. What kind of engine do you have, I presume a 4G64? If so I would guess something to do with the spark, however, I'm a painter so what would I know... grins. What else are you thinking of doing to your wagon? She looks in great shape, how is the suspension? Yep, it's a 4G64. The van is indeed in great condition, just a little dirty on the outside. 167K miles. Currently the spinny chairs in the second row can't lock in place (the mechanism seems damaged), so I'd like to address that too. Not sure how I'd appraise the suspension without driving it, but at least it doesn't sag in one direction. The previous owner did not maintain it well and he said one day it just didn't start. I feel like it's *one* minor thing that needs to be replaced or jiggled and then at least I can definitively start overhauling it. Anyone have their favorite "If you don't maintain it, this tends to die first" picks? I'm amazed by how cars work at all, because there's so many little weird things that can seemingly go wrong. Current debugging direction is fuel injectors then checking crank and airflow sensors. I'm trying to track down an *analog* multimeter so I can debug using the diagnostic port... Those are actually hard to find these days. The intention is to not spend too much time trying to get it running on the engine. Basically right now if I have to drop the engine to fix the problem, it will stay dropped and the electric power system will be engineered in. It's fuel injected, and my current suspicions lie with the injectors. Though it seems very weird to have all the injectors die at once, unless the seller didn't tell me the whole story (completely could be the case). Fuel is definitely making it onto the rail. How do I know? Tonight I removed the bolt that attaches the fuel line to the rail and promptly lost all the copper gasket washers that were on it. Whoops... Now if I crank, fuel leaks from the joint, so it has some semblance of fuel pressure. Another pack of washers is on the way. We verified that all 4 plugs have spark in the parking lot of the auto parts shop, but that was one-at-a-time and not installed in the block. I borrowed a timing light, but either am not using it correctly or exactly 0 plugs are sparking now that the plugs are in the block again. I find this hard to believe. I have yet to get a chance to move it to the shop where there are both more proper tools and people who actually know what they are doing. You will need to check your fuel pressure. For most fuel injected engines, you need a minimum of 40 psi for the injectors to work. To test this, you need to hook a pressure gauge up to fuel rail. If you have fuel pressure, Check the injectors next. Ask around to see if anyone has a set of noid lights you can borrow. These are little lights with different plug configurations, that plug in to the injector wiring harness, and will flash if the injector is getting the proper signal. If you don't have access to this, you can try putting your fingers on one of the injectors, and feel for it "clicking" while you are cranking. If you have fuel pressure and injector pulse, and there is spark at the spark plugs, you need to verify timing. turn the engine so that the timing mark on the front pulley lines up with 0 or TDC, and then remove the distributor cap. The rotor should be pointing to the spot where the wire for the front spark plug is connected to the distributor cap. You may have to make a second revolution with the front pulley to get this to line up, as the spark plugs are fired every second revolution, so it may be 180 degrees out on the first try. Always rotate the engine in the direction it turns when running. If you have all of this, and it still won't run, it may be because it had ethanol fuel that has gone bad, and gummed up the injectors. If you google ethanol fuel problems, you will have a day or two to do some reading on that problem, but check all the other stuff first. If you don't know how old the fuel is in it, it would also be a good idea to drain it and put in fresh fuel. Give it a go, and let us know what you find. I had a chance tonight to dig a little further into the engine. I bought some in-line spark plug checker lights and was able to confirm they were firing in the correct order (and that I even had spark). Made a new copper gasket for the fuel rail also, so I could seal that back up. One thing I was told to try just in case the injectors were clogged was to mix in carb cleaner with the fuel in the fuel rail and keep cranking to cycle them. The idea being it could potentially dissolve whatever material was clogging the injectors. I'm proud to say that I was able to start and run the engine for about 30 seconds. The first few turnovers were extremely rough and smoky, but it picked up speed and idled (I was frankly too surprised to check the idle speed). I stopped the engine by turning off the ignition thereafter since it had no coolant and known very low oil, and I didn't want to risk damage (The "it might just detonate in my face" factor also contributed). Unfortunately I decided to try and add some starting fluid (still unsure why I decided this was a good course of action instead of, you know, adding oil and coolant), and I dislodged an air hose, so it was bypassing the air flow sensor. Next few starts were no-fires until I found this out and corrected it. But by then the battery was too low and could barely crank. I assume the fuel pump pressure strongly depends on battery voltage, so it may not have been high enough for the injectors. I'm close. Will grab my battery charger tomorrow and top off the battery and see what happens. I would strongly advise not using starting fluid. The only thing starting fluid should be used for is seating the beads on tires. You would be better off to pour a tablespoon of gasoline in the intake, but be very careful, as this can also be dangerous/fire hazard. That is quite an interesting use (I just went searching for videos of this operation). I think my logic was "It'll help get the engine going next time!". Thanks for your advice so far, by the way. I didn't get another start today, only more incidental sputtering. My theory for the start yesterday is that the addition of foreign substances (namely the carb cleaner) to the fuel rail made the initial mixture extra volatile and basically forced the first few turnovers, even if very little was injected. I hope the white smoke billowing from the exhaust corroborates that theory. Anyways, out of caution against damaging things with carb cleaner where it shouldn't go, I haven't pulled this trick again. I noticed something else though - the engine ran enough for the ECU to start outputting diagnostic codes. Previously it was just outputting "all clear" on the MPI diagnostic pin, but today it changed to an airflow sensor error. The sensor doesn't look particularly broken or dirty (I tried cleaning it with some rubbing alcohol, not MAF cleaner) and the connector looks to be in good shape. I lightly abraded the pins for better contact in case there was surface oxidation, to no avail. Tomorrow I think I'm going to drag an oscilloscope and try to capture the output waveform, which according to the service manual should be a square wave increasing frequency with air flow speed, just to see if the ECU is confused or not. How likely is it for the MAF sensor to actually be at fault? How often do these things just fail outright? I own a 1990 P04W just like the one you have. I would pull the gas tank and have it recoated, replace all the fuel hoses, and have the injectors cleaned. The fuel lines can have the outer crimp removed to reveal the barbed hard line under it (dremel with a small cutting wheel). You then use a fuel injector clamp to secure it. This is an alternative to make them serviceable versus taking them into a hose shop. I also fabricated a new in tank pickup tube and modified the van to use an external EFI pump. I also soldered in new injector plugs with the later style that are used on the eclipse. The old wire secured type are too hard to service and are probably corroded. Just make sure you get the right wires on the right pins for the new plugs and use heat shrink on the soldered area. 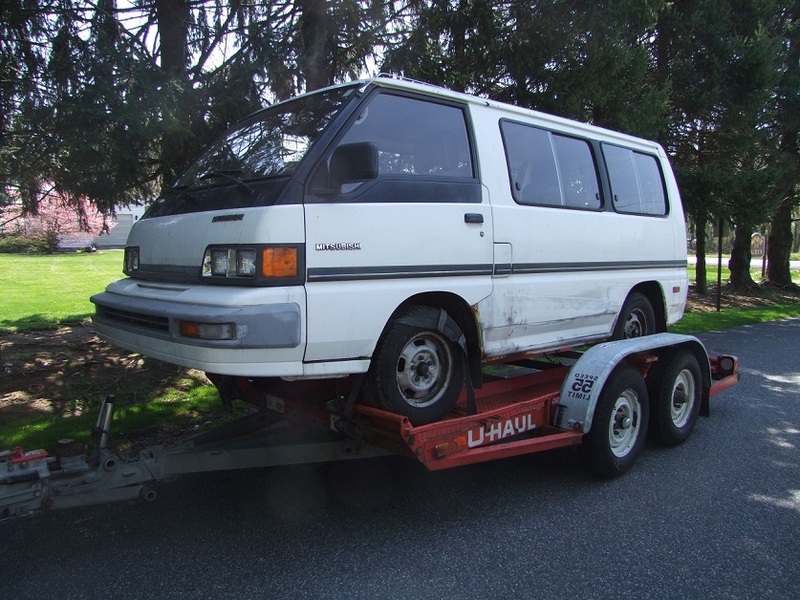 As for the injectors; the 1989/1990 Vanwagon uses high impedance injectors just like all the later Mitsubishi cars. The early 87/88 uses low impedance. You can use the 'blue top' high impedance injectors from the mid-90's 4G64 Eclipse and Gallant. They are the exact same injectors. Also, early 90's Mighty Max trucks also use the same injectors, FPR, idle controller, etc. Only the 1990 Mighty Max uses the same ECU as the 89/90 van. These ECU's suffer from the same capacitor issue that the Eclipses do. However, I would think it would output the dead ECU code if it did, but maybe not. The 4G64 has two timing belts: one for the cam/oil pump/left silent shaft and one for the right silent shaft. You should by a Gates or Goodyear timing belt kit and replace all the timing components. If the engine is running rough then that is a sign that the right belt is broken. I wonder if your timing belt could have worn and then skipped a tooth. This does happen. That may explain why it does not start. I got it running! Somewhat tenuously, but it has shown me that there is nothing terribly wrong with the engine as a whole. I believe the MAF sensor was the culprit, and have ordered a replacement. Basically, scouring threads at other car enthusiast forums led me to believe that the ECU could run without MAF information, but it wouldn't be pretty. Next, I disconnected the MAF sensor and reset the ECU again. The next starting attempt was definitely more vigorous, and holding down the starter for 10 seconds I heard the sound range from almost starting (nice strong puffs) to almost nothing. I am led to believe this is the ECU cycling through different fuel/air mixtures open loop? So I did the terrible thing again and gave it a shot of starting fluid (through the intake this time, as you are actually supposed to do). And it kicked to life. Here's some extremely terrible video due to the very poor lighting in the parking garage. I pre-emptively apologize for showing nothing in particular. This time, I let the engine run for about 4 minutes. The idle is rough, ranging from above 1000 RPM to just barely keeping itself going. I have to occasionally pump the throttle to keep it turning over. What stopped me was noticing that I was gradually filling up the garage with a cloud of thick white smoke, transitioning to gray smoke. Presumably this is the exhaust system cleaning out all the crap I dumped into the engine before this, then running rich or burning oil. It's not on video, but on the next start I actually hopped in and drove it out of the parking spot, then immediately back in. The power was "highly variable" - again, I'm assuming to the ECU having no idea what's going on with the engine. It's now in a slightly different orientation to confuse the neighbors. I was wrong about it having little oil (must have read the dipstick wrong in PA). It in fact had 5 quarts of extremely black and disgusting oil. At the bottom of the drain pan when I was done were several dozen tiny metal particles and sludge blobs. This is discouraging to see. I added back 4 quarts of generic gas station 5W-30 for now, and that is what it was running on for this test. Hopefully a new MAF is able to get it running more smoothly. Also, the MAF from the 90 Might Max will fit. I also presume that the Karman Vortex sensor type MAF from the non-turbo 1G Eclipse will also fit. I know that 6 wire MAF from the 1G turbo eclipse will also fit in place of the 6 wire MAF on the Starion that came before it. I have a spare MAF from another van I found at salvage. Just be careful around the MAF as you don' want to crunch the honeycomb on the MAF's inlet. And, some people will tell you to remove it for more performance, but NEVER remove or alter the honeycomb or the fins on the MAF outlet, as it will cause running issues. I have heard this from other people on Starion forums. OIL: I use Mobil 1 5w40 Turbo Diesel Truck. The engine is rated for it, and it makes a great all year oil due to the 5w. Also, the it has higher anti-wear additives than normal car oil. If you look at the back, it will say approved for mixed fleet use. That and you can get it almost anywhere. WIX makes a great USA made filter for this engine. Do you have emissions testing for a van of this age? The engine is the early non-interference 8 valve 4G64 in stock form, but I would not wait to do the timing belts and tensioner/guides. Unless you can determine that they have been done recently. There is a small inspection cover lower down on the front of the timing belt cover to look at the right-side silent shaft belt. The main belt is just a front cover at the top. 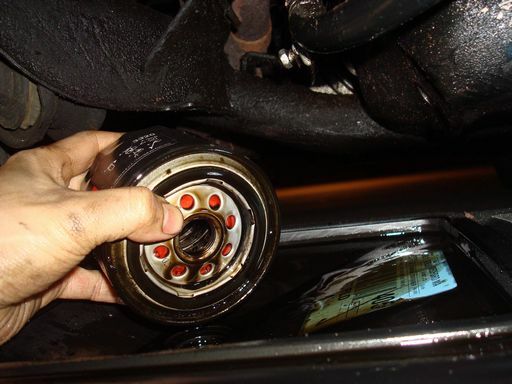 If when it is running, and you hear a bearing squeak that is not coming from the alternator/accessories, then it is the timing belt tensioner bearing. I have seen this happen with these engines. The transmission is the same as a similar year Montero, so only the linkage and hookups are different. The differential is the standard 8 inch 4.22:1. There are alternative ratios from the pickups/4cyl. Montero Sports that will work stock. But unless you want a even lower ratio and LSD, you will need to combine the right gears and an LSD. The rims are 5x114. The same as many other Japanese cars and trucks. The early 90's Mazda MPV has some nice crosshatch style alloy rims that would look great. I already ordered a new replacement MAF which ought to be here soon. I'd like to know more about this differential. As you might have read earlier, the engine isn't going to stay that long in the van, or so the plan goes. I'm planning on installing a large AC motor near the back, probably coupled into the differential using a custom-build external reducer. It's good to hear the diff ratio is so high (or is that referred to as "low" in automotive parlance?). I'm settling on a motor-to-wheel ratio of about 8:1, so a 4.22 would be easy to construct an external 2:1 reduction for. How durable is this diff - is it kept stock when people tune these vans (I assume *somebody* does...)? Do you have any recommended upgrade paths for the differential? Limited slip might be nice eventually, but I think I'm still pretty far from considering one way or the other. Thanks again. And yes, I believe the van must pass emissions. However, it doesn't need to in order to be registered, just to obtain the yearly inspection sticker. Won't be a problem once it generates none! For now, the smoke has literally cleared. I've been driving in circles around in the parking garage and have noticed no more substantial billowing smoke. This doesn't mean the emissions are any good, but it's a sign of improvement. The differential is the same as the pickups, so I presume it is strong. However, it maybe wise to find out what modified Mighty Maxes are running. There are some ratios lower than 4.22. The 4cyl. Raider/Montero from 82-89 also came with 4.62 or 4.88. The Mighty Max/D50 also came with a 4.62. I am looking for a 3.54 for highway use. As for an electric conversion, I had given this thought too; I would presume that if you remove the engine, you are going to modify the front to take into account the lack of front end weight on the suspension system. Are you going to put a battery pack in place of the engine? I have seen conversions done to a 240Z and Datsun 1200 and they put the motor in place of the engine by making a adapter cradle. The van's cargo area could house batteries under a false floor. Are you going to use a FVD from someone like Fuji as a controller? Are you an electrical engineer? I have thought about converting to a dual fuel CNG system.